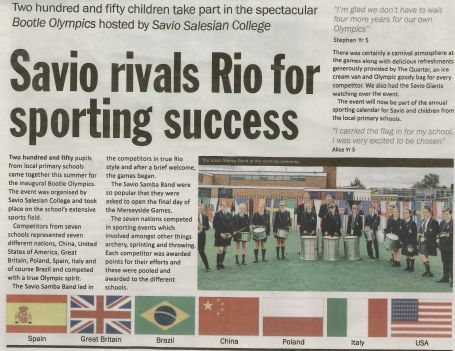 Today, Savio Salesian College were proud to host the Bootle Summer Olympics. Pupils from St Monica's, Holy Spirit, All Saints, Our Lady of Walsingham, Our Lady Star of the Sea, St Robert Bellarmine and St Elizabeth’s Primary Schools all competed for the title of Olympic champions in sports including amongst others... sprint races, the 600 metre race, obstacle runs, relays, standing long jump, tri-golf, seated volleyball and speed stacking. "It took a lot of organisation but we had some brilliant collaborations with all the schools involved plus our sponsor the 60 Hope Street Group which owns and operates The Quarter were very thoughtful in their goodwill to provide catering for us on the day. I also want to thank my home team for their help in making the inaugural Bootle Olympics happen. They were simply fantastic as was the day." 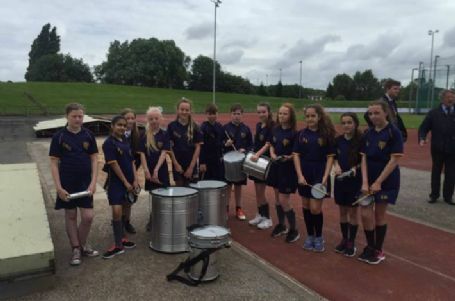 We would like to thank all of the schools who participated in the event, along with all the companies and staff whose support made the Bootle Summer Olympics possible.